Thank you for wanting to be a part of the TBN family on DSTV channel 343, where viewers experience pure faith and family television like never before! To submit your idea, please complete all the fields below. *PLEASE NOTE that we do not commission content. * Presentation URL Importantly: Please enter a SlideShare or Google Slides presentation link of your proposed show. Show Reel / Pilot Please provide a YouTube or Vimeo video link to your showreel or proposed show, if you have. 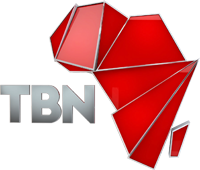 I consent to the processing of my personal data by TBN in Africa with its registered office in Johannesburg South Africa, in order to provide services available on the site tbninafrica.org. I am informed about the right to the contents of my personal data and can make corrections to it when needed. We believe that the Church is the Body of Christ and is composed of all those who, through belief in Christ, have been spiritually regenerated by the indwelling of the Holy Spirit. The mission of the Church is worldwide evangelization on the one hand, and the nurture and discipline of Christians on the other.